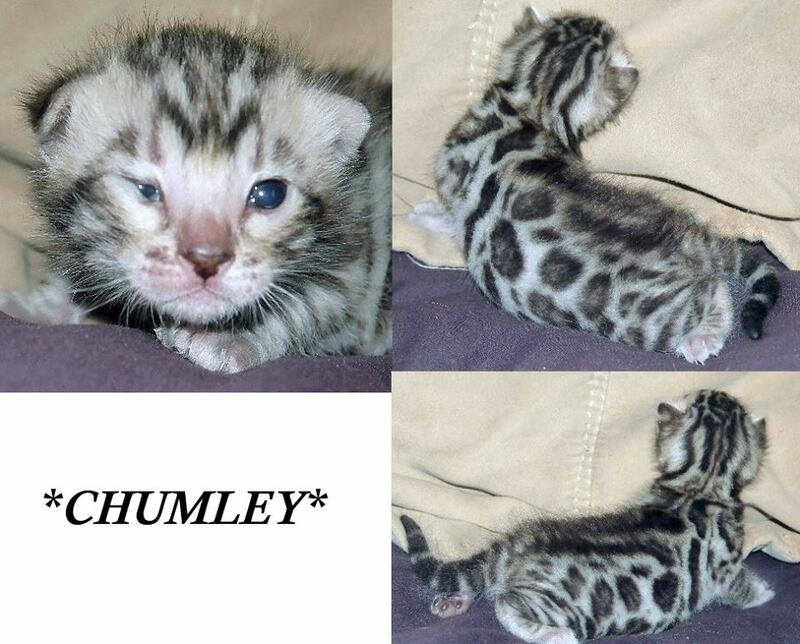 Just like his silver parents, Chumley will have very large rosetting and beautiful color! 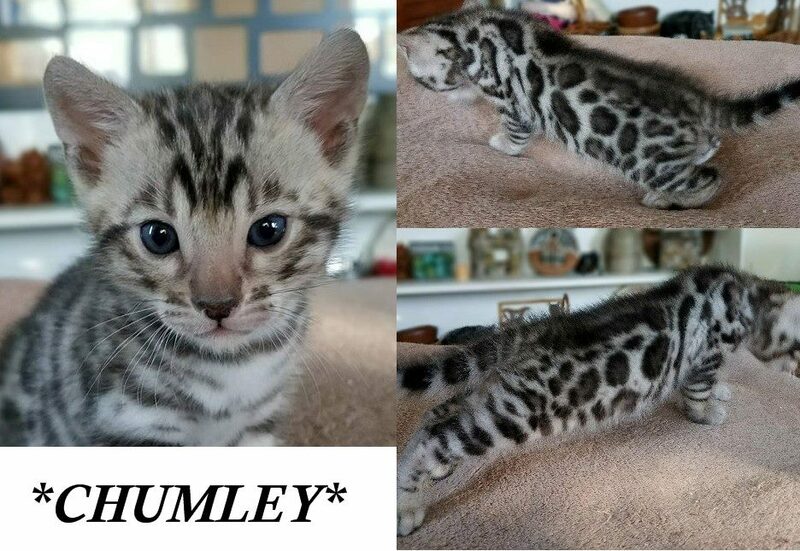 We already can’t wait to watch him develop! 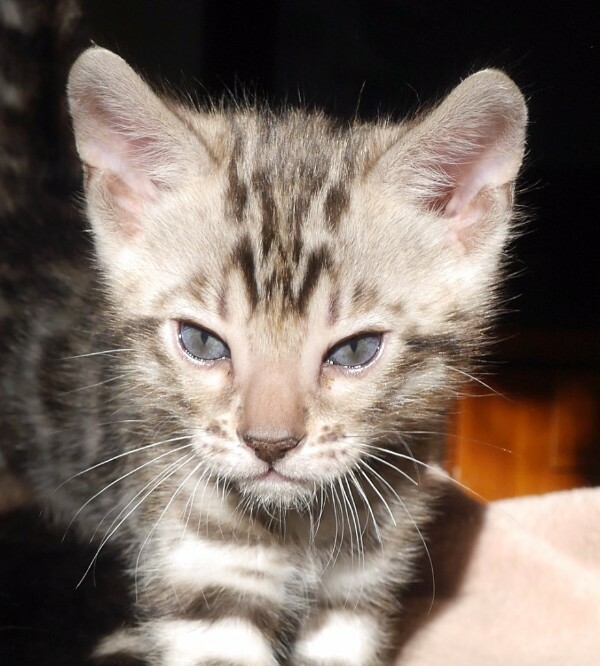 This entry was posted in Bengal Kitten Gallery and tagged Bengal kitten, Chumley, silver rosetted. Bookmark the permalink.